When Twitch, then Twitch.tv, launched as a fork of the Justin.tv livestreaming service focused on gamers, TNW took notice. 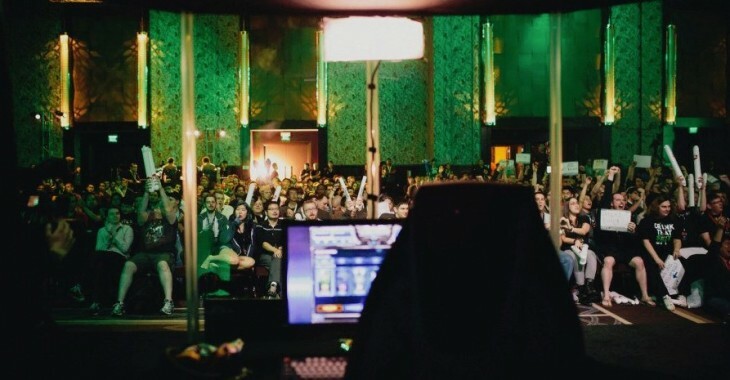 Esports, competetive gaming, was heating up following the launch of Starcraft 2, and livestreaming was a key piece of the technology stack its growth depended on. Twitch, like esports as a whole, has continued to grow. However, as hundreds of thousands tune in in unison to the gaming content that Twitch serves round the world, other companies have taken notice and are working to hem into the market. The scale of the two most important competing members, YouTube, and DailyMotion, is hard to miss. YouTube is the defacto consumer video platform for non-livestreamed content the world around, and Yahoo is sufficiently interested in DailyMotion to bandy 9 figure sums as part of a potential pickup. Twitch is not a small operation, but when compared to YouTube, can it remain a viable independent player, ruling a market that it helped to build? Let’s find out. This week at the Game Developers Conference, YouTube announced an API to allow game developers to bake livestreaming capabilities into their games. This will allow, presumably, new titles to come off the line prepped for competitive play in that they are ready for their play to be streamed to viewers the world around. YouTube is big. It has the financial backing of Google. Its advantages are obvious; the homepage of YouTube is real estate that brands pay hundreds of thousands of dollars per day to occupy. That space YouTube could use to promote any livestreamed content that it wished. A tournament that worked with Twitch before could be wooed with the offer of a free dollop of promotion that others are fighting over their competitors and check books to purchase. YouTube is the world leader in video hosting. DailyMotion will tell you that it is in second place. Framing Twitch for a moment: the two largest video hubs in existence are out for its market. It’s doing something right. Live-streamed tournaments are another major component of this new partnership, with future top tournaments like the Electronic Sports World Cup (EWSC) and The Gamer’s Assembly 2013 (March 30, 2013) being showcased on the video destination. Dailymotion most recently live-streamed the World Game Cup held in Cannes from March 1, 2013 to March 3, 2013, and saw over 337,000 live views. The online video destination expects to see similar viewer numbers from Pulse Esports teams competing in major tournaments like Major League Gaming and DreamHack. That’s on the nose, as any tournament that DailyMotion picks up is one that Twitch doesn’ get to broadcast. That means less viewers, and thus less ad revenue. Interestingly, DailyMotion appears prepped to host its own tournaments. This creates a content vertical that Twitch would want – livestreaming games is its beef and mashed, after all – but cannot have. Given the above, TNW reached out to Twitch itself for comment, and context into its views. Matthew DiPietro, the company’s vice president of marketing provided TNW with a few notes from the perspective of his company. He noted that it was a “good sign” that other companies, large and small, were “taking live video game streaming seriously.” In his view, the moves validate the direction that Twitch has taken. That said, DiPietro doesn’t think that Twitch is heading for turbulence that is too strong; in his view, the company has competitive advantages that cannot be replicated, or at least not quickly. The focus of Twitch, in that it is “all gaming all the time” is a leg up in his view. Specifically, Twitch has a unified community, unlike YouTube, which lacks, according to DiPietro, “real chat functionality.” This is true. Even more, however, Twitch in his view is simply better than the competition, and its quality will allow it continued ascendance of the gaming market in regards to livstreamed content and tournament support: “Our community has become acclimated to a best in class social streaming experience,” DiPietro told TNW. Twitch is a great experience, excepting its ad delivery platform, which is clunky, and invasive; muted streams will often turn sonically ‘on’ when an ad is played, which is jarring. Twitch has also had issues in the past delivering HD content sans lag to certain parts of Europe. That said, it has greatly improved its platform in the last 12 months. Esports and competitive gaming audiences tune in regularly in the six figures. Given their demographic mix, competition was inevitable. Twitch’s key advantage, placing aside current contracts and relationships, is that the company and its staff grok what gamers want and need, as they are part of that crew. However, that’s a DNA advantage, and not the sort of edge that you can quantify. YouTube, if it wanted could outspend Twitch ten to one, and take over esports. That’s quite unlikely. However, what isn’t is smart investments from the two largest video platforms that could cut into Twitch’s growth. Until recently, Twitch’s key competitor was the now defunct Own3d. It would have been the fourth horseman in this discussion. Azubu.tv has recently made waves in the League of Legends scene. However, its penetration into the market hasn’t been aggressive. That could chance. Twitch has what I would deem the best livestreaming product on the market. And it has the hearts and minds already won. But it will have to fight to stem a potential flood of dollars that could descend on the content niche it has nurtured.